Nothing says luxury quite like Scott. 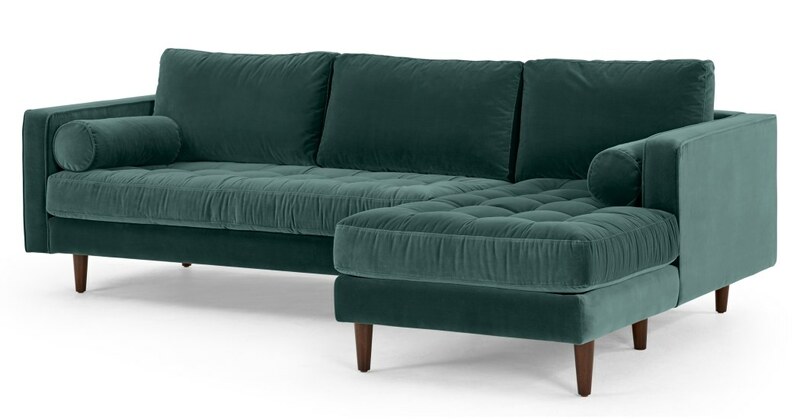 The perfect blend of a sleek silhouette with a pulled detail cushion, upholstered in plush velvet, this chaise-end sofa oozes sophistication. The clean, square lines of this piece give a subtle nod to mid-century design, while its large scale means there’s plenty of room to snuggle up. Made for lounging with a deep, sprung seat and feature-fibre mix cushioning, Scott features solid hardwood feet stained to a dark finish.